Right in the middle of winter with February and I am seeing the weather reflected in my hair! Dryness, limpness - it needs a little TLC for sure which I have been neglecting trying to get everything done in a 24 hour day that already seems never-ending! I would LOVE to take an afternoon and visit the salon. You know, giving my hair the pampering it deserves. Unfortunately with three young kids, it's hard to get a minute to take a decent shower these days let alone take time to go to the salon for anything! Luckily, busy Mom's like me can still give our hair some TLC with thick lathering, creamy and fabulously scented products from Vidal Sassoon! 50 years after Vidal Sassoon originally changed the way women wear and care for their hair, P&G Beauty and grooming is making salon genius available to all with the new Vidal Sassoon Pro series colour, care and styling line of products. Please meet the Vidal Sassoon Pro Series and check out these hair tips from the pros! Vidal Sassoon Pro Series Moisture Lock Shampoo helps condition the cuticle while hair is wet to make styling afterwards easier! Vidal Sassoon Pro Series Moisture Lock Conditioner helps seal in moisture and help prevent dry or damaged-looking hair, leaving it noticeably smooth and irresistible to the touch. Vidal Sassoon Pro Series Boost and Lift foaming air Mousse was created after learning that people want touchable volume that won't fall flat and weigh the hair down. It uses this amazing foam technology that helps control the unruliest of hair giving it 24 hours of managable boost in volume that's easy to comb out! Pro Tip: Hold product bottle up right to squeeze out a tennis ball sized amount into the palm of your hand and then evenly kneed it into towel dried hair. Blow dry or let it dry naturally and freshen up your style throughout the day by adding small amounts to dry hair. Vidal Sassoon Pro Series Repair and Finish Spray helps seal in style and tame flyaways with glycerin that significantly helps reduce friction from brushing and styling which causes damage. Pro Tip: Spray hair sprays 6-8 inches away from towel dried hair and freshen up with a quick spritz throughout the day. Vidal Sassoon The Mega Firm Hold Gel uses a formula inspired by professionals offering a customizable and strong hold that helps lock out style-ruining frizz for up to 24 hours. These products definitely save time by not having to visit the hair dresser as often, getting the same soft, manageable hair results at home between visits and also being conveniently purchased at most major retailers. With a line up like this, your hair is bound to thank you! 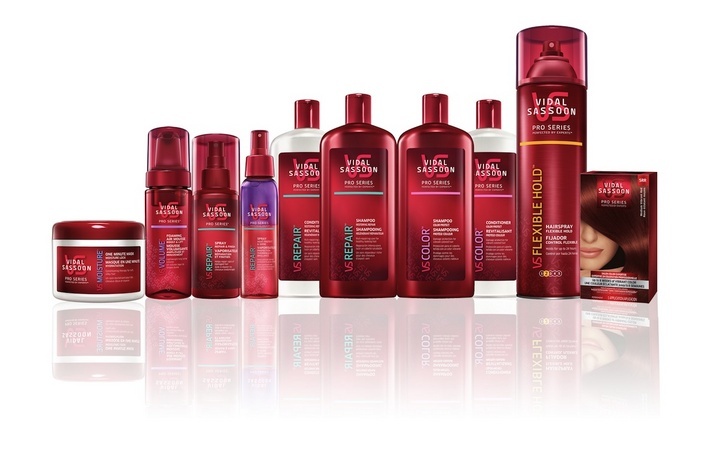 The Vidal Sassoon Pro Series line is available between $4.99-$7.99 each. Follow @AMotherhoodBlog using hashtag #PGMom to see what the rest of the P&GMoms are saying about these and other P&G products! 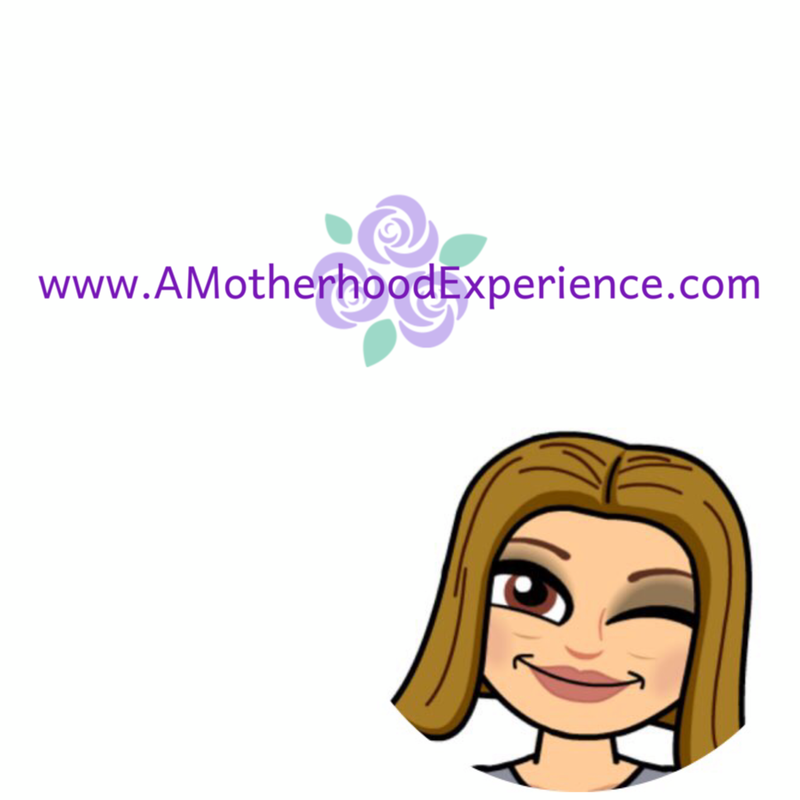 Disclosure: Posted by AME in participation with the P&GMom Ambassador program. Perks and incentives are received as part of the program. Opinions and comments on this blog are those of the Author. I need mousse for the days that I am lazy and don't want to straighten my hair, i can just wash it, mousse and scrunch it and my curls come out! My favorite hair product is a Garnier straightening spray. I can't remember the exact name right now. I would liketo try the Vidal Sassoon products because they sound like they would work well and they are reasonably priced. My favourite product is John Frieda root awakening shampoo, I love the smell and how it makes my hair feel and look great. I would love to win so I can try this product out. Herbal Essences. I'd like to try Vidal Sassoon because they seem to be of salon grade and are still affordable. My favourite product is L'oreal Professionnel Intense Repair Masque. It really helps dry hair become moisturized and soft. I would love to try Vidal Sassoon products to see what they can do for my hair in terms of making it look healthier. I'm normally a Herbal Essence gal - I love the scents! I'd love to try the Vidal Sassoon as I am curious to see what the products are like! My favorite product is John Frieda Full Repair Heat Activated Styling Spray. I'd like to try Vidal Sassoon because I like to try new hair care products. My favorite product is Infusium Leave In Conditioner because it helps to tame my frizz .... I would love to try Vidal Sassoon as it looks like it be great for my dry and frizzy hair!!!! My favourite hair product is Got2b's Glossy Shine serum. I'd like to try Vidal Sassoon because it was a favourite when I was a teen (it was mom's "hands off!" shampoo and I would sneak it, lol). I'd like to see if it is still great as it used to be. i don't have a specific favourite product i keep switching trying to find something that will help my dry hair! Would love to try vidal sassoon! I love deep conditioning hair masques. Avon makes a nice Shea butter one. My favorite hair product is Head & Shoulders. I would love to try Vidal Sassoon because I have never tried it before,and it sounds good for my hair. I like shampoo that doesn't have a lot of additives that make my hair feel itchy the next day. I would like to try this because it looks like a great product to try. My favourite hair care product is anything that lifts my roots for volume and anything that moisturizes my hair. The winter months have dried out my hair a lot and I would love to try Vidal Sassoon's shampoo and conditioner to moisturize my hair. Thank you for this nice giveaway. Hair care products? It's been so long since I've done anythign with my hair I don't really know. I'd love a chance to try these though! I love conditioner. I used to use Vidal back in the 80's/90's and would love to try the new line. My favourite hair care product is herbal essence. I would love to try this because I like to try new products. I have never found the perfect shampoo and conditioner so I find myself trying all different types. I have very thick hair but each individual strand is fine so they break easily and I get flyaway "wings". I want to try Vidal Sasson as I'm hoping it will be "the one" and we can be happy together! My favorite product is Got2B's Rockin' It Dry Shampoo. I have never tried Vidal Sassoon products before so I'd like to check them out. I like Herbal Essences but I have been a Vidal Sassoon fan for a looong time! My favourite product is a Kerastase deep conditioner - looking for a less expensive replacement! I love Herbal Essence, but I'd love to try Vidal Sassoon! My favourite hair product is Garnier styling putty, it has great hold. I use Moroccan oil and I like how it helps deep condition my hair. I don't think I've ever tried Vidal Sassoon, so I'd like to see how it works for me. i use pantene since forever, i never tried any other shampoo other than this brand. I'm a big fan of Moroccan Oil. I'd love to try Vidal Sassoon because I recently watched a documentary on Vidal and I was impressed by the man. Surely his products are great too!